No matter what kind of job you have in mind, Envirovan can cater for your needs. Our offices are bases in the South East and we offer affordable van hire in and around the south east region. In need of a replacement van while yours is off the road. So, if you’re in the South East area, and in need of an experienced van rental company, we have your van here ready for you now! Brand new, or less than one year old. Choice of short, medium and long wheel bases. 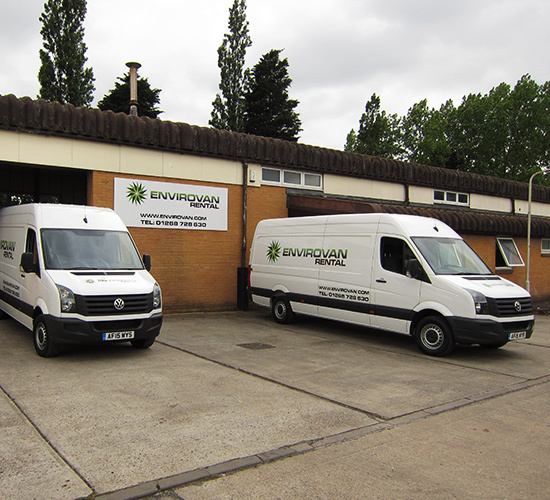 At Envirovan, we will always promise a speedy, professional service and provide you with our expert knowledge.